DJ CAREY-MANAGED IT Carlow have been thrown out of the Fitzgibbon Cup, it has been confirmed this afternoon. Limerick-based Mary Immaculate College lodged an objection to the eligibility of IT Carlow corner back James Gannon, from the Ballyragget club in Kilkenny, and Mary I have been reinstated in the competition. It is understood that Gannon is studying a graduate course through Glanbia and while IT Carlow insisted that the necessary paperwork was processed in order for him to play, Higher Education GAA chiefs have ejected them from the tournament. In their defence, IT Carlow pointed out that current Kilkenny stars Colin Fennelly, Paul Murphy and Eoin Larkin are studying courses at the Institute but were not used in the Fitzgibbon Cup because the trio are full-time with the Irish Defence Forces. A three-hour hearing took place in Portlaoise last night to discuss the impasse, the42.ie can reveal, and further conference calls took place this afternoon. Higher Education GAA chiefs have now amended this week’s fixtures. On Thursday, Limerick IT will host Waterford IT in the last eight, with Mary Immaculate College at home to DIT, on the basis that they topped Group C.
IT Carlow beat Eamonn Cregan’s Mary I by nine points last week to originally book their place in the last eight from a competitive Group C. IT Carlow finished second in the standings behind holders WIT on scoring difference to progress to the knockout stages. But as things stand, they will not be able to continue in the prestigious third-level tournament, although an appeal from IT Carlow is expected. Email “DJ Carey's IT Carlow sensationally thrown out of Fitzgibbon Cup as Mary I return”. 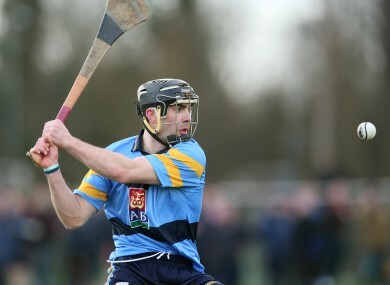 Feedback on “DJ Carey's IT Carlow sensationally thrown out of Fitzgibbon Cup as Mary I return”.